← Happy 150th Birthday, Bess! Happy Spring! A time for new beginnings. And my life right now is certainly about embracing the new. 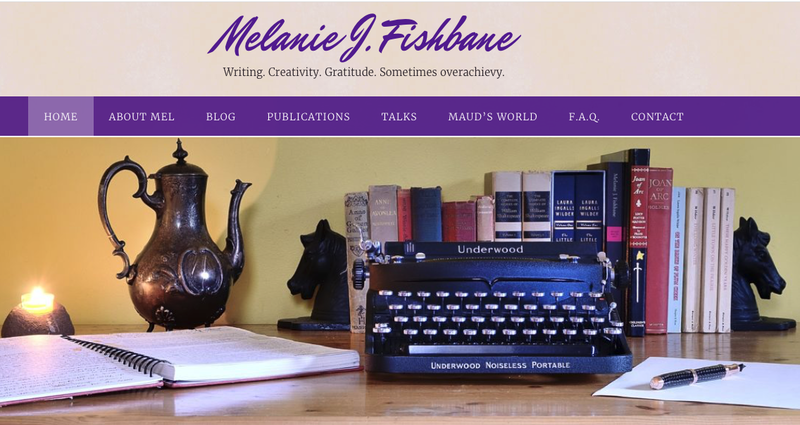 melaniefishbane.com will still have my blog, but it will also be showcasing many new features, such as “Maud’s World.” Special thanks to Neel Modi, who helped to create the look and feel of the website. You can check him out here: http://neelmodi.com. I invite you check out my new website and please let me know what you think. This entry was posted in Blogging, L.M. Montgomery, Maud, Writing Life. Bookmark the permalink. Congratulations! So many exciting treats in your life right now! Quick question: to keep getting your posts, do I need to subscribe to the new site, or am I okay because I already follow the blog? I double checked and, yes, you have to subscribe again to the new site. It is because it is a completely different system. Thanks for asking such an important question. And thanks for following!